Posted by Admin & filed under Blog, Business, Customer Service. With the Internet and today’s remote communication technology, many business owners and other professionals, such as realtors, doctors, accountants and lawyers, no longer have the need or desire to work out of a physical space and employ a full-time office staff. Easily accessible innovations such as shared virtual calendars, cell phones and laptops enable business owners, employees and customers to communicate without meeting face-to-face. This office model works effectively for businesses of many different types and sizes. In fact, a virtual assistant can provide enormous benefits for small businesses that may not have the resources to maintain a traditional office space and staff. However, these services are not just for small businesses, large companies take advantage of these services as well! While these conditions provide a new level of freedom for business owners and employees, running the day-to-day operations can take a lot of time away from business owners and professionals who are busy practicing their occupation and starting, maintaining, or developing their business. The demands of running a business often affect the owner’s or employee’s ability to provide quality customer service. The solution to this problem is the virtual assistant or virtual secretary. A skilled virtual assistant or virtual secretary works remotely, but provides the services of a traditional office assistant. They can help your business by answering calls, responding to emails, scheduling appointments, updating schedules and assisting customers, clients and vendors in many other ways. Like a traditional assistant, they will evaluate the urgency of a message and relay appropriate information to you through your preferred channel, including text, email, phone or fax. In addition to being on hand and familiar with your business’s information, scripts, and policies, a virtual assistant specializes in customer service. An effective virtual office assistant or virtual secretary will use a unique, dedicated phone line, allowing them to answer on behalf of the specific business, and therefore provide the experience of a traditional, high-cost office environment. A virtual receptionist can be available to communicate with customers when you need them, or work 24/7, all year long to help run your business and provide the experience of a physical office location. This flexibility allows employers to pay for exactly what they need and no more. Since good virtual office assistants are experienced and work on a contract basis, there is no need to provide the training, benefits or long-term commitments traditionally involved with hiring office staff. Most immediately, transitioning to a virtual assistant saves business owners the costs of full-time employees. For this lower cost, a virtual assistant will actually improve your business. Having an excellent virtual office assistant provides an enormous boost to customer service. When customers need to schedule an appointment or get in touch for updates or information, they want to speak to a knowledgeable person at exactly that moment. Having a virtual assistant means no call will go unanswered (unanswered calls can mean huge missed opportunities). Over time, the virtual receptionist provides the key support needed for businesses to thrive and expand. If you are thinking about transitioning to a virtual assistant model, contact Responsive Answering Service. We can be your virtual receptionist, assistant or secretary. 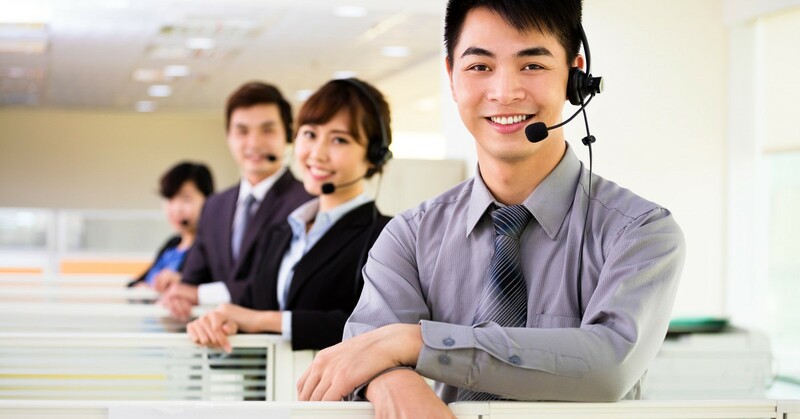 Our state-of-the-art technology and outstanding customer service allow us to deliver virtual services at a fraction of the cost of an employee. 3. Have you ever been arrested or charged with a crime? Have you ever been convicted of a crime? If yes, specify date and brief explanation. I AUTHORIZE RESPONSIVE ANSWERING OR ITS DESIGNATED AGENTS TO CONDUCT A COMPREHENSIVE REVIEW OF MY BACKGROUND. I UNDERSTAND THIS MAY INCLUDE EMPLOYMENT HISTORY, EDUCATION BACKGROUND, CHARACTER REFERENCES, DRUG TESTING, CIVIL AND CRIMINAL PUBLIC RECORDS.